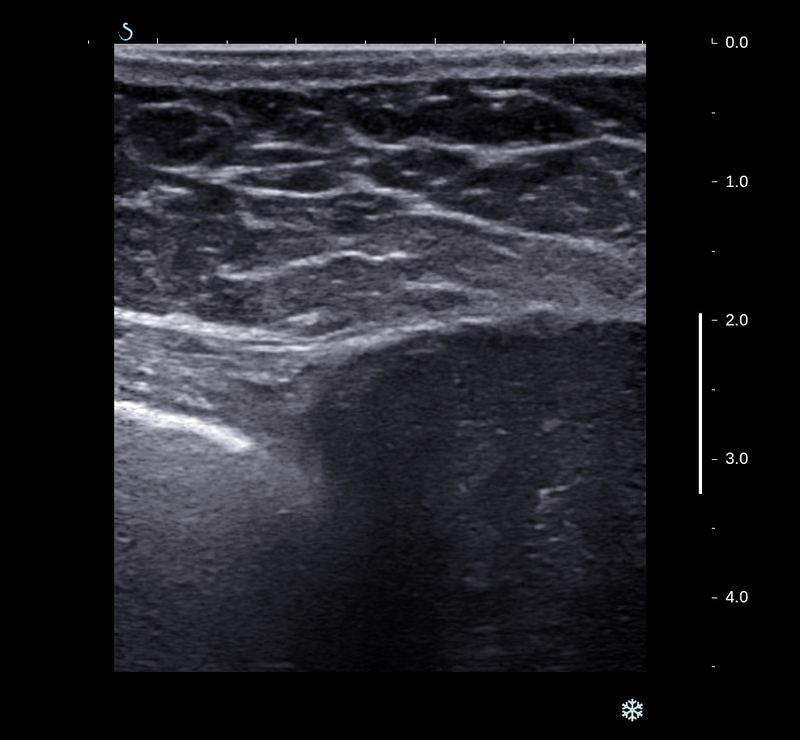 Ultrasound.scanning of this mass revealed intra abdominal wall mass, from lower part of rectus abdominis muscle. ( US 1, US 2, US 3 ( linear probe), video) . 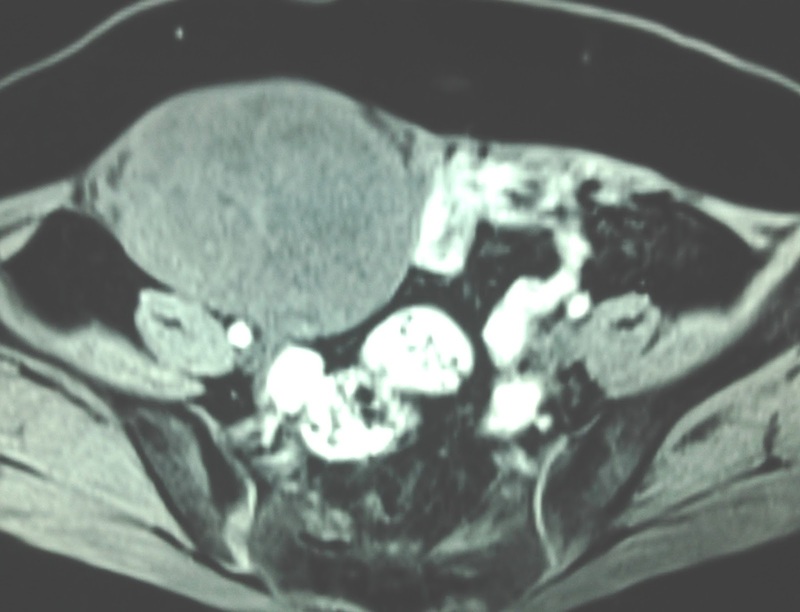 Video clip shows this tumor from anterior abdominal wall ). 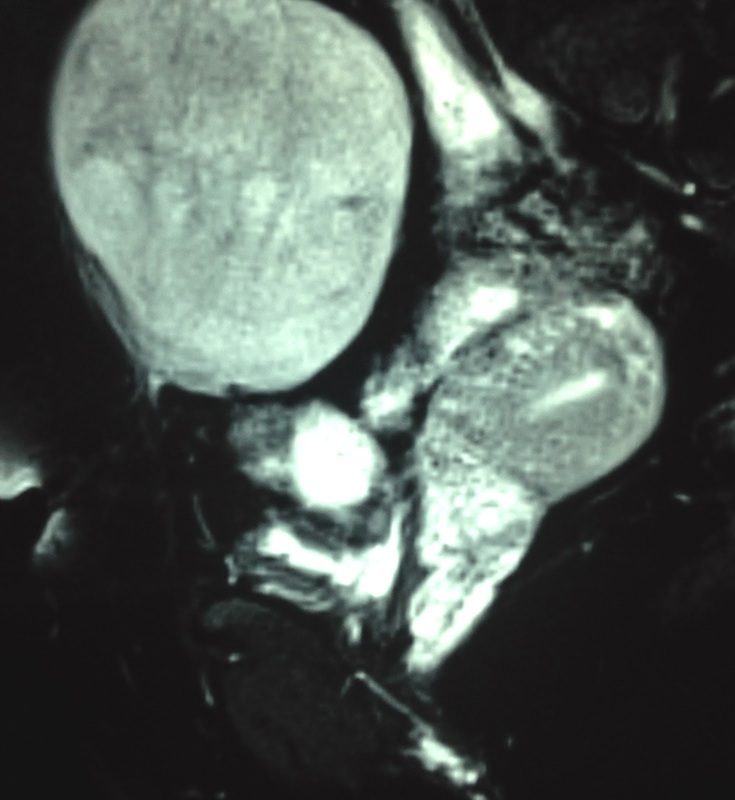 On MRI, this tumor is solid, size of 12 cm, structure looked like uterine myoma. 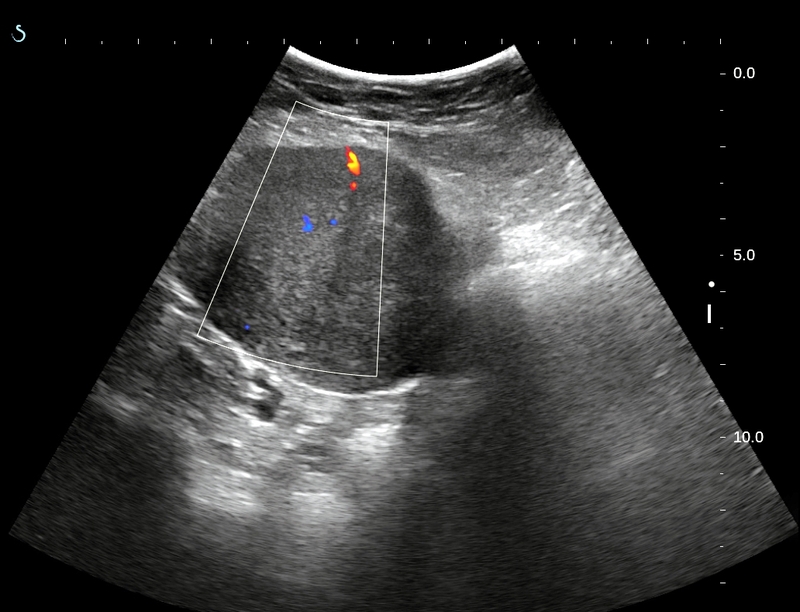 At first, diagnosis from one OBGY doctor is endometriosis post c-section. But another sonologist from Obgy hospital is pediculate fibroma of uterus. 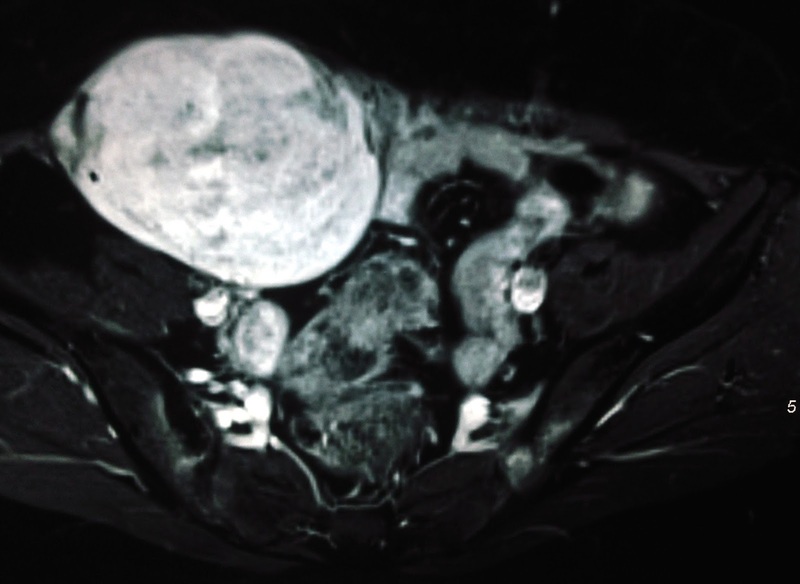 One radiologist looking MRI says tumor of rectus abdominis muscle same as fibromuscular mass. 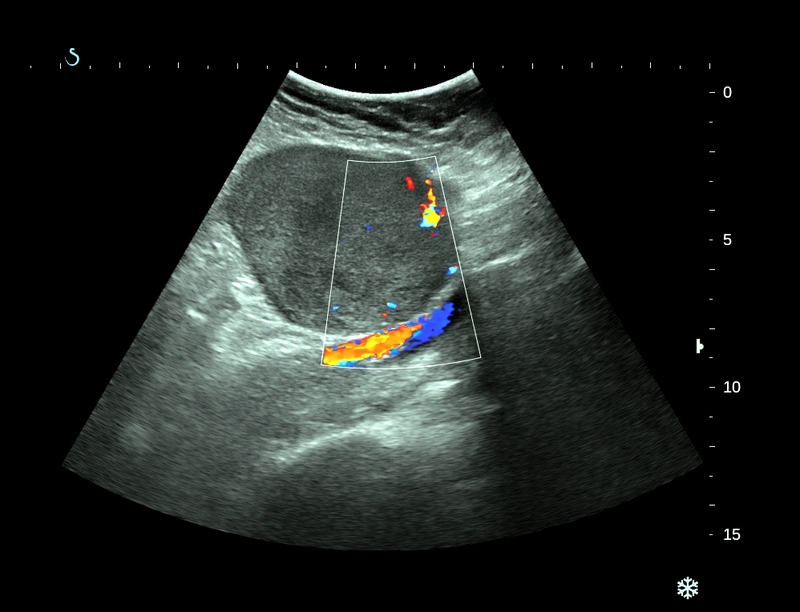 and developered from rectus muscle, not from the middle line if c-section. Macroscopic view of section surface look like fibroma. 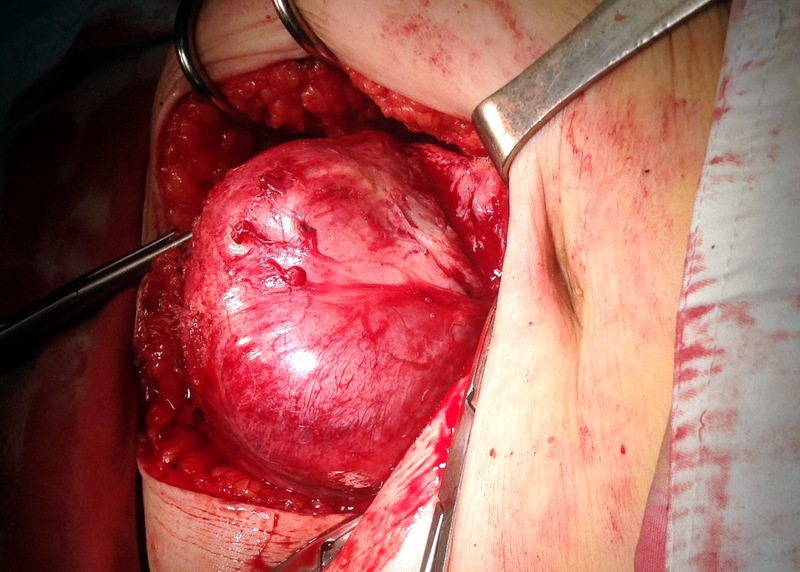 Discussion 2: In past history she had been first c-section for first delivery 3 years ago. 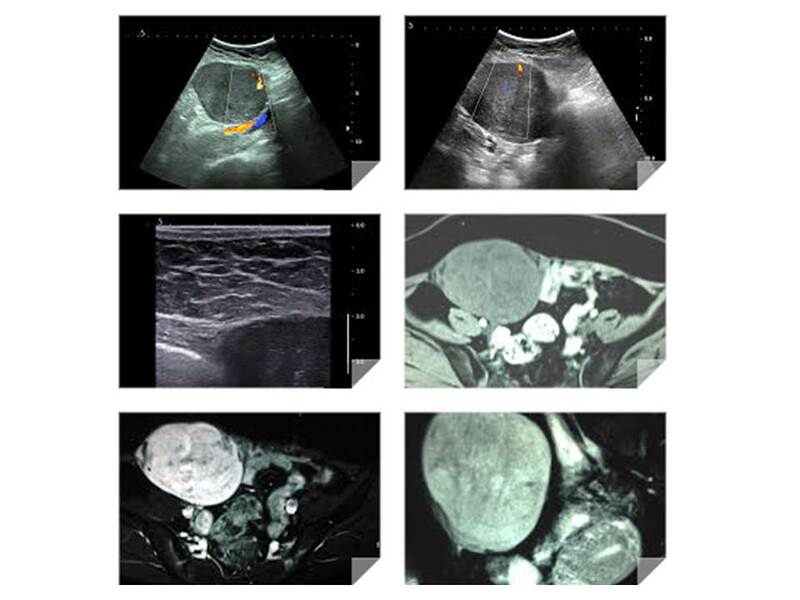 During second pregnancy, this patient known having fibroma of uterus from doctor ObGyn. It is mistaken prenatal diagnosis. Her past history is very important issue for diagnosing today. Discussion 3 from pathologist: based on HE staining slices, 3 pathologist professors say surely that not endometriosis, 2 prof say maybe a desmoid tumor but one is say fibroma. 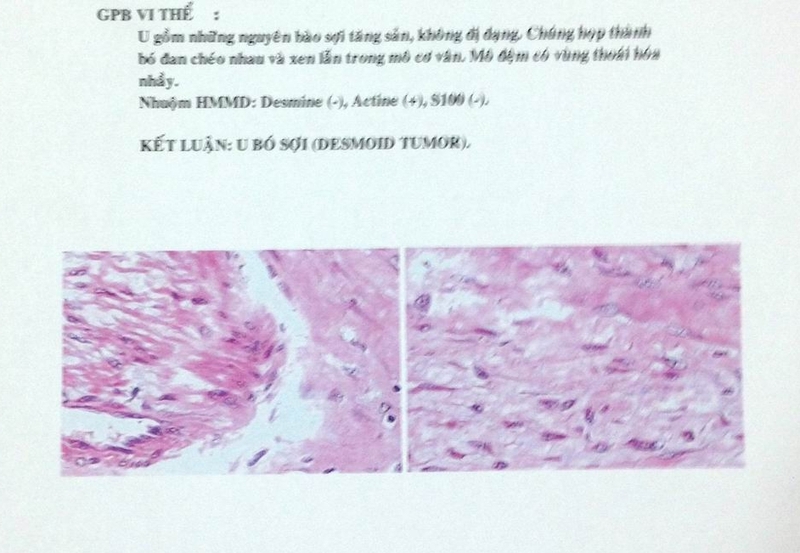 Microscopic result with imunohistochemistry staining is desmoid tumor. 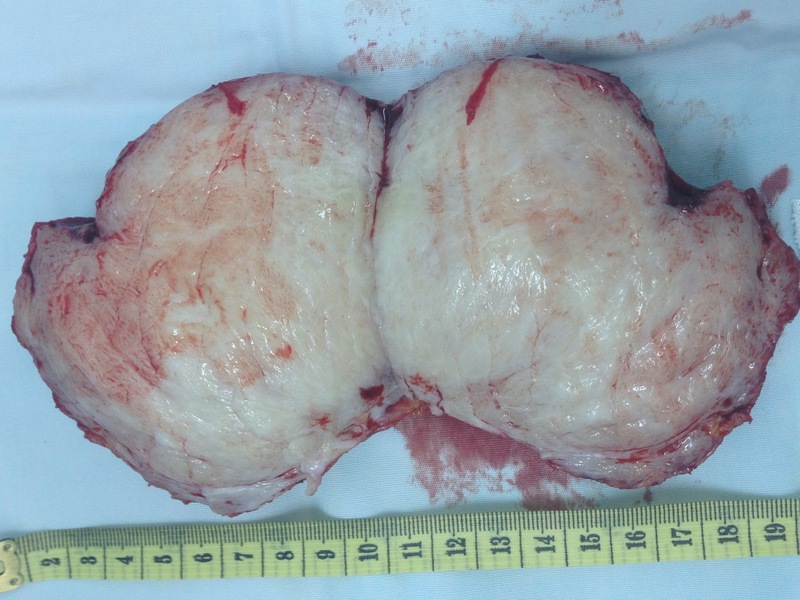 Reference: Desmoid tumor of abdominal wall.